I caught John Edwards on Wolf Blitzer’s Situation Room Wednesday afternoon. Blitzer asked him about Bush’s remarks on al-Qaeda being enemy number one in Iraq. Edwards replied with great good sense and admirable forthrightness, and I’ll quote it in a second. But one thing I advise candidates in both parties to do is start recognizing that what the US military calls the Iraqi insurgency is primarily Iraqi nationalists, not al-Qaeda. The US military and politicians made a key mistake when they saw the North Vietnamese Communists of Ho Chi Minh as primarily Communists, when in fact they were Vietnamese nationalists. It was the nationalist component that proved so attractive to many of their collaborators in the south. After the North Vietnamese Communists took over they almost immediately had a firefight with Communist China. It would be tragic if the US makes another such error in Iraq. Bush and Cheney speak as though the enemy there is a terrorist international, a stateless al-Qaeda dedicated to establishing an Islamic superstate and bringing down the United States. That is 99.99 % wrong. Almost all those fighting in Iraq are Iraqi nationalists. Just as Communist Vietnam posed no real threat to the US and was of little use to other Communist states as an ally, so a post-US Iraq would be a country of Iraqi nationalists (with, admittedly, ethno-religious subnationalisms playing either a decisive or an important role). ‘ BLITZER: But do you dispute that al Qaeda has a presence in the Al Anbar Province, in other provinces in Iraq, that they’re trying to establish a base there, from which to do their evil deeds? EDWARDS: No, of course I don’t dispute that. That’s obvious. But — but the president of the United States has made this situation worse. He hasn’t made it better. And the question is, what is the plan that will maximize the chances for us being successful there? I believe — and I think many of the leaders in the Congress believe the same thing — that, as America starts to withdraw its presence in Iraq, we shift the responsibility to the Sunni and Shia leadership, and we create a greater possibility of there being a political reconciliation. 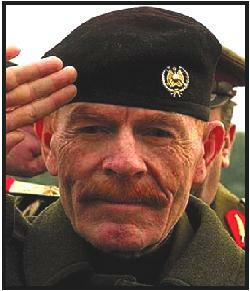 I concur in Edwards’ analysis of the situation in Iraq. But I think it would help the public debate if he and others began querying the entire idea of “al-Qaeda in Iraq.” He gave that one away, and when you give that one away, you risk giving away everything. Al-Qaeda is technically defined as persons who have given their fealty to Usama Bin Laden and who have been given an operation to do by him. It is sort of like being a “made man” in the Cosa Nostra. Not every two bit gangster is a mafioso, and not every violent Salafi is al-Qaeda. A recent study by Gen. Barry McCaffrey suggested that there are in fact 100,000 insurgents (I prefer the term guerrilla) in Iraq, not the 20,000 to 25,000 usually estimated by the US military. Iraq’s previous interior minister estimated the number of foreign fighters in Iraq at less than a thousand. Most of these are Salafi Jihadis of one sort or another (revivalist Sunnis). So 99,000 insurgents are Iraqis. And none of them is al-Qaeda in the sense of being loyal to the organization or fighting for Bin Laden and Ayman al-Zawahiri. They are fighting for some vision of the Iraqi nation, whether inflected by religion or not. So who are the Iraqi insurgents? An important component is Baathists and ex-Baathist nationalists. These are former military officers, party officials, intelligence operatives, etc. The Baath Party itself is said in the Arabic press to have split into four groups [scroll down]. Among the more important of the four, and the least willing to compromise, is that of Saddam Hussein’s vice president, Izzat Ibrahim al-Duri. Last January al-Hayat reported in Arabic that there were attempts to hold an Iraqi Baath Party congress in Damascus and reunify the fragments in preparation for a rehabilitation of the party in Iraq when de-Baathification was ended. Al-Duri opposed this step because he saw it as leading to defeat, not victory. Although he is said by some to be in Syria, that is inconsistent with his stance on the Damascus conference, and I think it is more likely that he is in the Mosul area. In March, Izzat Ibrahim al-Duri wrote to Arab leaders, calling himself the secretary general of the Ba’th Socialist Party and the commander in chief of the Iraqi armed forces, asking that they support his insurgency. A summary of the letter is appended at the end of this column. Another guerrilla group made up of ex-Baathist officers is the Mujahideen Army. It has been unwilling to join the Holy Warriors Council (shura) because it doesn’t like the Salafi Jihadis, and it has at points opened negotiations with Iraqi president Jalal Talabani. Although Bush administration officials admitted in 2003 that al-Duri was a major leader of the insurgency, when they did not capture him and when the Baath resistance was galvanized, they increasingly blamed everything in Iraq on “al-Qaeda” and Abu Musab al-Zarqawi. But al-Zarqawi wasn’t really al-Qaeda, whatever he later said, and had never gotten along with Bin Laden. He had formed his own organization, Monotheism and Holy War, and refused to share resources with al-Qaeda. Admittedly at some point in Iraq he announced that his organization was ‘al-Qaeda in Mesopotamia.’ But lots of little burger joints try to imply that they are part of big franchises. The grease doesn’t improve. When al-Zarqawi was killed in spring of 2006, it didn’t have the slightest impact on the vigor of the insurgency. Ipso facto, he wasn’t behind that much of it. Iraqi Sunni fundamentalists such as the 1920 Revolution Brigade are not al-Qaeda. In fact, their name shows them to be Iraqi nationalists, since it refers to the 1920 revolution against British colonialism. Al-Qaeda is against country nationalism, emphasizing the Islamic ummah or community rather than individual nation states. The actual 1920 revolt, led by Shiites, would mean nothing to Bin Laden. This point is important because self-conception tells you about the scope of action of a group. The 1920 Revolution Brigade is all about getting rid of foreigners from Iraq. It isn’t about international terrorism or hitting the US mainland. We don’t have to worry about it if US troops leave Iraq. Its members will just heave a sigh of relief and go back to their ordinary jobs. If it or others keep trying to hit Shiites after the Americans leave, they will likely get themselves massacred. They aren’t a danger to skyscrapers on the east Coast in the US. Terrorism: Ba’th Party Secretary Izzat Ibrahim Urges Arab Rulers To Assist Iraqi Resistance On 26 March, a jihadist website posted a letter written by Izzat Ibrahim, the general secretary of the Arab Socialist Ba’th Party, urging “Arab rulers to unite in fighting the enemies of Iraq and assisting the noble Iraqi resistance.” The letter was related to the Arab summit held last month in Riyadh, Saudi Arabia.